Yvonne submitted this article to the AMSJ as a fourth year medical student in 2010 and will present the associated research at PSANZ in April 2011. 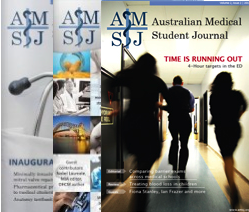 She is currently a fifth year medical student at University of New South Wales and is based at St George Hospital. She has clinical and research interests in Paediatrics and Obstetrics/Gynaecology and is looking forward to developing these during her final year elective term. Of the approximately 130 million babies born each year, an estimated four million babies die in the neonatal period. Globally, the main causes of death are estimated to be preterm birth (28%), severe infections (26%) and asphyxia (23%). New South Wales (NSW) is the most populous state in Australia with approximately 86,000 births per year. In 2006, 6,044 babies in NSW were registered to neonatal intensive care units (NICUs), representing 2.3% of total live births in that year. Gestational age is highly correlated with birth outcomes including mortality. Each extra week of time spent in utero increases an infant’s chances of survival significantly, and by 27 weeks of pregnancy, over 90% of infants will survive. There are significant differences between common causes of death in the pre-term population (less than 37 weeks gestation) and the term population (37+ weeks gestation). The most notable difference is an approximate five-fold increase in deaths caused by congenital neurological malformations in the term population compared with the pre-term population . Premature infants have a considerably higher chance of dying than full-term infants. However, improved neonatal care, particularly the widespread use of surfactant replacement and antenatal steroids, has almost halved neonatal mortality in many parts of the world. Between 1985 and 1991 in the United States, the overall neonatal mortality rate declined from 5.4 to 4.0 per 1,000 live births. An understanding of causes of neonatal death and changes in mortality rates is critical for prenatal counselling, decision making, quality control and further improvement in management. 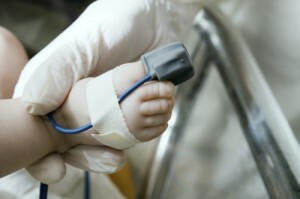 In NSW, newborn infants are admitted to NICUs under the following criteria: gestational age less than 32 weeks, birth weight less than 1,500 grams, need for mechanical ventilation for four hours or more, continuous positive airways pressure for four hours or more and/or major surgery, defined as opening of the body cavity.